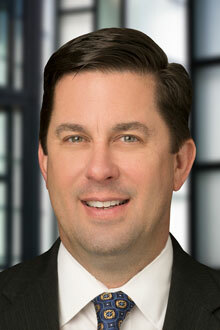 Scott Krause is the managing partner in the Baltimore office of Lewis Brisbois and a member of the Healthcare Practice. He is admitted to practice in Maryland, Washington D.C. and Virginia. Scott’s practice focuses upon the defense of healthcare professionals, legal malpractice defense and the defense of employment claims. Scott also handles general liability and casualty matters. Scott’s medical malpractice defense experience includes the defense of physicians, nurses, dentists and oral surgeons, free-standing surgical centers, long-term care facilities, and other healthcare practitioners and practices. In defending employment matters, Scott represents a wide variety of clients, including restaurants, professional practices, tech companies, government contractors, hotels, and non-profit organizations, in claims before the EEOC and other state and local administrative agencies, and in both state and federal court, involving alleged discrimination on the basis of age, gender, race, disability and religion; sexual harassment; wrongful termination; and wage and hour disputes. Scott’s general liability work includes premises liability and products liability defense, the defense of business owners/operators and apartment management companies and auto tort defense. In addition to his litigation practice, Scott regularly represents a variety of professionals in the defense of board licensing actions before professional boards in Maryland and Washington, D.C.
Scott has been listed by the “The Best Lawyers in America” in the area of legal malpractice defense, and included in the Maryland “Super Lawyers” list in the area of personal injury/medical malpractice. Additionally, Scott has served as a presenter and has published articles in the area of professional malpractice defense, risk management and other related topics. From 2002-2013, Scott served as an adjunct college faculty member teaching Civil Procedure and Business Law to aspiring lawyers and paralegal students. Selected for inclusion in "The Best Lawyers in America,"